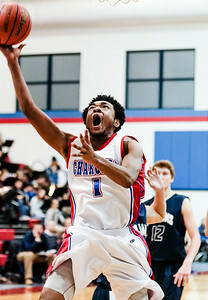 Sarah Nader- snader@shawmedia.com Dundee-Crown's Kiwaun Seals shoots during the fourth quarter of Tuesday's basketball game against Cary-Grove in Carpentersville January 6, 2014. 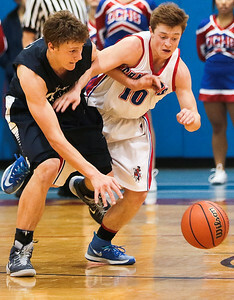 Dundee-Crown won, 50-48. 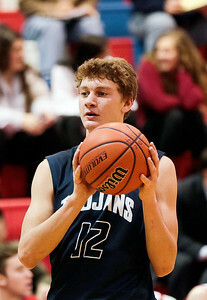 Sarah Nader- snader@shawmedia.com Cary-Grove's Jason Gregoire looks for an open player during the first quarter of Tuesday's basketball game against Dundee-Crown in Carpentersville January 6, 2014. Dundee-Crown won, 50-48. Sarah Nader- snader@shawmedia.com Dundee-Crown's Nick Shydlowski celebrates after teammate Kiwaun Seals makes a free throw during the fourth quarter of Tuesday's basketball game against Cary-Grove in Carpentersville January 6, 2014. Dundee-Crown won, 50-48. 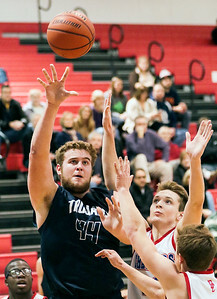 Sarah Nader- snader@shawmedia.com Cary-Grove's Justin Blair shoots during the first quarter of Tuesday's basketball game against Dundee-Crown in Carpentersville January 6, 2014. 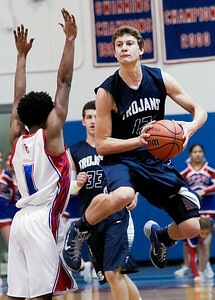 Dundee-Crown won, 50-48. Sarah Nader- snader@shawmedia.com Dundee-Crown's Kiwaun Seals shoots over Cary-Grove's Jason Gregoire during the fourth quarter of Tuesday's basketball game in Carpentersville January 6, 2014. 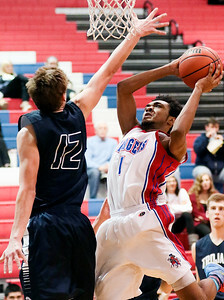 Dundee-Crown won, 50-48. 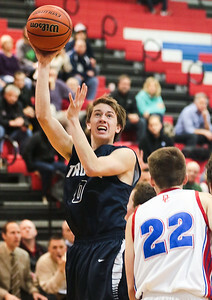 Sarah Nader- snader@shawmedia.com Cary-Grove's Trevor Ruhland shoots during the second quarter of Tuesday's basketball game against Dunde-Crown in Carpentersville January 6, 2014. Dundee-Crown won, 50-48. Sarah Nader- snader@shawmedia.com Cary-Grove's Jason Gregoire (left) and Dundee-Crown's Nick Shydlowski run after a lose ball during the third quarter of Tuesday's basketball game in Carpentersville January 6, 2014. Dundee-Crown won, 50-48. Sarah Nader- snader@shawmedia.com Cary-Grove's Jason Gregoire passes to a teammate during the second quarter of Tuesday's basketball game against Dundee-Crown in Carpentersville January 6, 2014. Dundee-Crown won, 50-48. 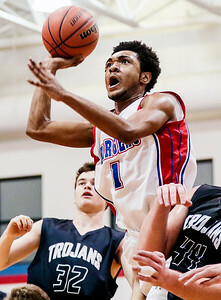 Dundee-Crown's Nick Shydlowski celebrates after teammate Kiwaun Seals makes a free throw during the fourth quarter of Tuesday's basketball game against Cary-Grove in Carpentersville January 6, 2014. 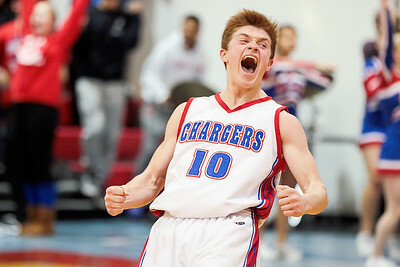 Dundee-Crown won, 50-48.